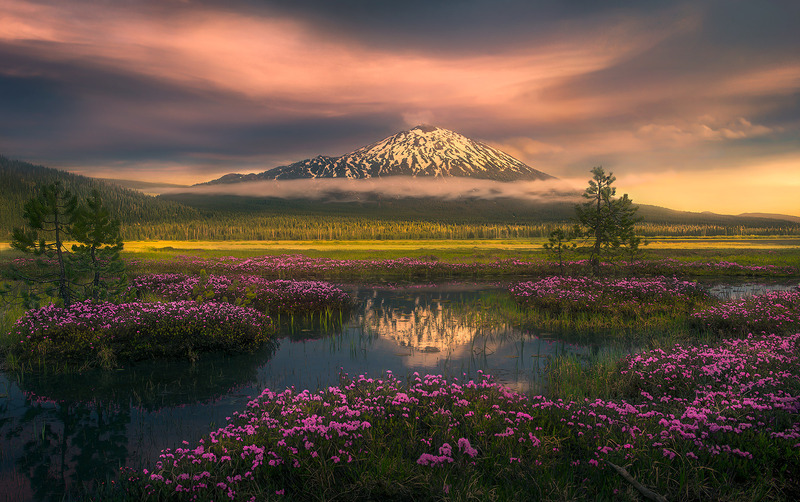 Spring flowers adorn cascade meadows reflecting high Oregon mountains. . Photo © copyright by Marc Adamus.